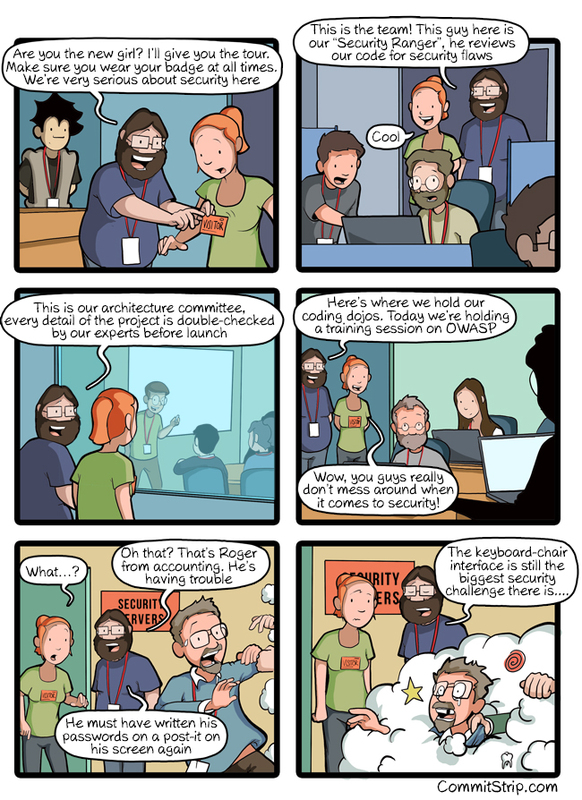 Today we’re welcoming a new sponsor to CommitStrip, the IT Security team for the online retailer Cdiscount! Talking to them we realised we always tend to underestimate how much security matters for online retailers. Every day they tackle interesting technical and security challenges, and they’re recruiting. Take a look at their career opportunities, located in the beautiful French city of Bordeaux!